What would you do if you or a loved one couldn’t get to a life-saving treatment? Unfortunately, this is a problem that thousands of Canadians face every day. That’s why Sunbeam is proud to launch Supports with Warmth, an awareness and fundraising campaign in support of the Canadian Cancer Society’s patient transportation programs. As part of the campaign called “Supports with Warmth,” a heartfelt video was created that highlights the real-life story of Kelly Tugnett, a single mother whose son, Jaxson, was diagnosed with a rare form of cancer at six months old. Their story is not unlike that of many others living with cancer: getting to and from life-saving treatment is one of the most challenging and difficult tasks they face, especially for those also dealing with physical or emotional challenges, or if treatment is far from home. The Canadian Cancer Society’s patient transportation programs strive to provide access to safe and reliable transportation for people who are receiving active treatment at approved cancer treatment facilities. Wheels of Hope is the Society’s volunteer-provided transportation program in Ontario and it, along with other provincial programs across Canada, helps cancer patients focus on getting well and not worrying about how they will get to treatment. 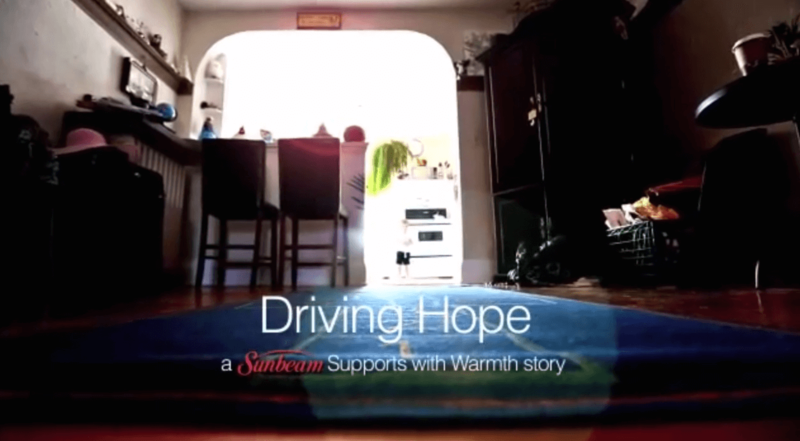 Through Supports with Warmth, Sunbeam is donating 75,000 kilometres to the Wheels of Hope transportation program. Recognizing that feeling cold or chilled may be a side effect of cancer and its treatment, Sunbeam is also donating warmth with 500 Sunbeam Heated Throws for the Canadian Cancer Society to distribute to cancer patients in Ontario. In addition, the Supports with Warmth video aims to raise awareness of the Society’s patient transportation programs and encourage donations across Canada.